Now that you are fully familiar with search engine optimization and how search engines index and rank websites, you should learn how to optimize your website in order to maximize the chances of gaining high organic rank. We will show you a list of tasks that you should focus on in order to achieve this. The tasks are presented in an order you should follow in the process of website optimization. The optimization tasks we will see here are categorized into two groups. The first group of tasks is to be completed before you create a website, and it is recommended for those who are still in the phase of planning to develop a website. If you are in the phase of creating a website, you should go through both of these groups, as the second group of tasks will help you with website optimization and creation of search engine friendly website. If you already have a website, then you should focus on the second group of tasks that will explain you how to optimize the existing website. Research is a pretty much vast area, where you need to explore the possibilities and opportunities for creating a website and developing a strategy for your online business. Reading this book can be considered as a part of research, as your goal is to become acquainted with the process of optimizing your website in order to increase chances of achieving high rank in the search engines. This is an inseparable aspect of online marketing in general, especially when it comes to SEO and paid advertising, where you need to use related keywords in order to enable search engines to identify your content and show it to the relevant searches. We only mention this topic as an essential step of optimizing your website, as this topic has been analyzed in a separate chapter. Another aspect of research includes the analysis of the market. You need to explore the online market in order to determine what is lacking, and what people need, as this increases chances of your website being successful. If you are a local business, try conducting a local search by adding the location to your search query, and explore the results you see in the search engines. 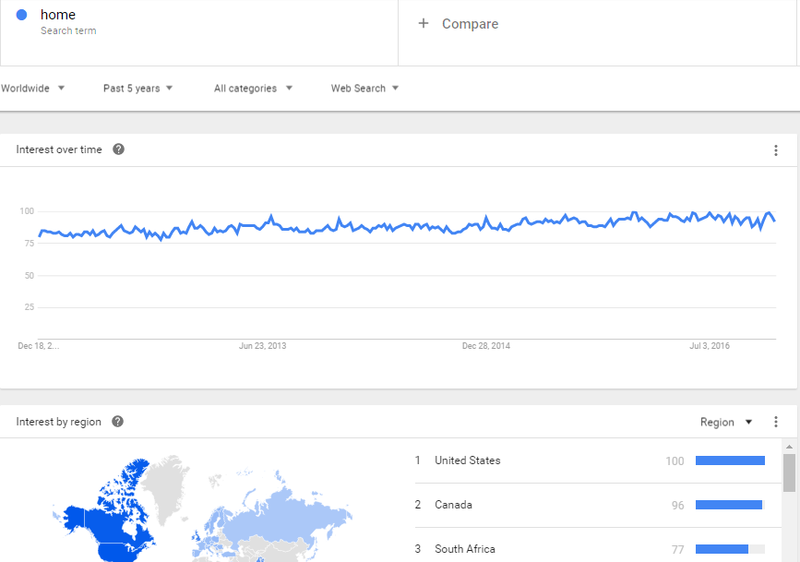 Use Google Trends to explore the searches related to a certain keyword. For example, if we use the word “home” as the search term, we can analyze the number of searches over time, regional searches, as well as related searches that can provide additional ideas. You can also customize your search using the options at the top of the page. This phase consists of two parts. You will first have to find out who your competitors are. Use the search engines to find the search results that appear when the keyword you find relevant to your content is used in the search query. This will help you discover the websites that are competing for the same keywords as you are. Make the list of these websites, as you will find it very useful later on when you want to monitor the competitors and compare their progress with your website. Once you know your competitors, you should analyze their websites, as this can help you find out what they are doing well, and what they are doing wrong. A great tool to help you with this task is Open Site Explorer, which allows you to analyze different aspects of the website and to compare several websites. 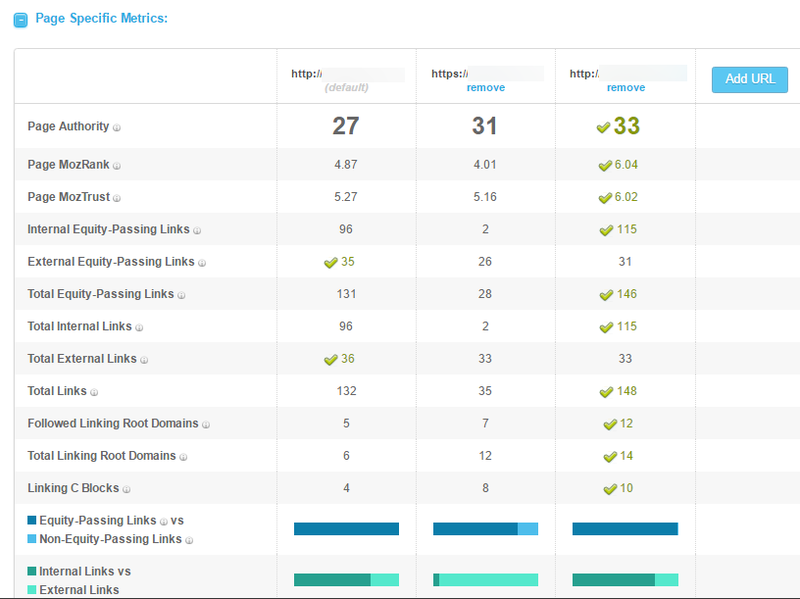 If you already have a website, and you want to compare it with your competitors, use the option “Compare Link Metrics” available inside this tool. The analysis you see on this image has been conducted using the free options available inside this tool, but there are additional options available if you choose to use the paid version. You should choose your domain name very carefully. It should to be related to the business you want to present online, and it should contain the keywords you use. If you own a brand, the domain name should be your brand name. Domain name should also be easy to remember, as this will be your online name, and people have to be able to easily remember it, so that they could find you. Short and easy-to-remember name is also good if you are going to feature the name on the flyers, business cards or posters. We have already discusses what SEO friendly design is, a design that allows search engines to easily crawl and index a website. It is generally recommended that you pay attention to this aspect, as the destiny of your website is largely based on the treatment you get from search engines. Thus, you need to make things easier for search engine crawlers, in order for them to promote your website through organic search results. Friendly design refers to the design of the website and the friendly URLs, as both contribute to well-optimized website that can be ranked high in the search engine results. After you have created your website, following the guidelines above, you are ready for the next stage of the website optimization that involves a series of tasks to optimize the content of your website in order to maximize the efficiency of search engine optimization. Over the past few years, content has become the central point of online marketing and online presence in general. Having content on your website, content that is of high quality and relevant to the topic of your website, has become a crucial factor affecting website positioning. Unlike in the past, when it was not difficult to position a website without any content, evolution of search engine algorithms has come to value content as one of the metrics used when analyzing relevance and influence of a website. This is one of the reasons why a lot of websites nowadays have a blog. For example, if you rent bikes, your website could contain several pages with instruction on how and where to rent a bike. You should also include the section about your company and the contact page. However, if you want to improve your SEO, you should consider adding content that is relevant to your topic, in this case bike rental. Nowadays, SEO professionals usually feature content through adding a blog to the website. In this case, articles you could post on your blog could be about types of bikes, tires for bikes, biking tours, benefits of bike rentals, etc. This way you prominently use keywords without being spammy. The idea with this approach is that you will use content to increase positioning of your website by providing relevant and original information. Regardless if we talk about content published on your website or blog, it is important to optimize the content in order to maximize its efficiency, which brings us to the next task. Titles should be catchy, interesting and engaging in order to attract the users to read the entire article. Apart from that, the title of the article must be related to the content of the article, as you should not post misleading titles that have nothing to do with the content. The usage of keywords in the title is also recommended. Further guidelines for creating titles have been explained under the Title tag section of this book. Each article should contain a few headings where you would highlight the most important aspects of the article. Usage of headings is important for two reasons. First of all, an article with headings is reader-friendly, as it is well structured and it allows users to scan the text before they decide to read it. Secondly, search engines use heading tag, as well as other tags, such as title tag, to differentiate sections of the website’s page. This way, search engines are able to figure out what is important on your website, as you would highlight the most important parts with headings. You should also try to include keywords in the headings, of course in a natural way that does not disrupt the reading process for the visitors. Usage of keyword in the content is necessary part, as those are the terms you want your website to be identified with. Therefore, besides using keyword(s) in the title and headings, you should also distribute the keywords in the text of the article. Besides the exact keywords, using synonyms is also helpful. Make sure that you are using the keywords in a natural way. You want to avoid randomly repeating the keyword, as this will have negative effect on the readers, which will not read the entire article, they will not share it, and they will most like never come back to your website. This will have negative effect on website positioning. Besides written content, there are other types of content you could use, such as videos, infographics or images. These are all helpful types of content as they are aimed at using the visual effects to attract the attention of the readers. Furthermore, presenting content in such form can sometimes be more effective than writing the content down and publishing it in the form of an article. When it comes to optimizing videos, it is generally recommended that you provide transcript of the video in the article, below the video itself. Most users will only watch the video, without paying any attention to the transcript, but since search engines are not able to understand the content of the video, they will use the text from the transcript to index that page of your website. You should also optimize images, for the same reason. Images are most commonly used tool to attract attention of the visitors. Besides presenting a photo or a graph, images can also feature text with an effective message. However, search engines are not able to see none of this, which is why you should use Alt text to add the description of the image. Another aspect of optimizing your website should be the integration of social media. The first part of this integration is allowing users to easily share your content by installing necessary plug-ins. 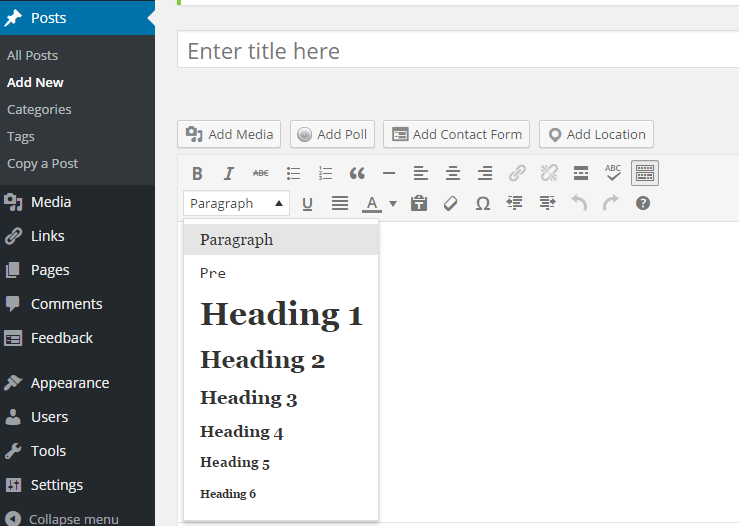 The plug-in is usually displayed above or next to the article, and it allows website visitors to share content on their social media accounts with only one click, without even leaving your website. In addition, the plug-in usually features the number of times the article has been shared on social networks, which can also be encouraging for visitors to share it. Besides integrating social media plug-ins, you should also be present on different social media. It is highly recommended that you create social media accounts on the most popular social networks, as this is a perfect way to stay connected with the social media users. In fact, based on various studies, nowadays internet users are more inclined to look for brand and business information through social media, rather than using search engines. This way, they can stay up to date with the current news, promotions and sales, and these are all the reasons why the internet users will decide to follow you on social networks. Having a base of social followers can then reflect well on your website’s performance, as you get the chance to increase traffic and engagement on your website through social media.